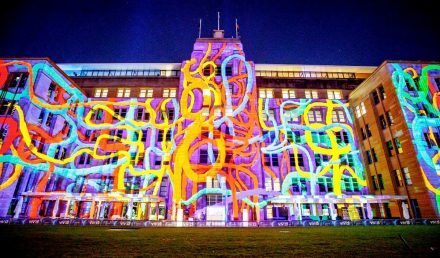 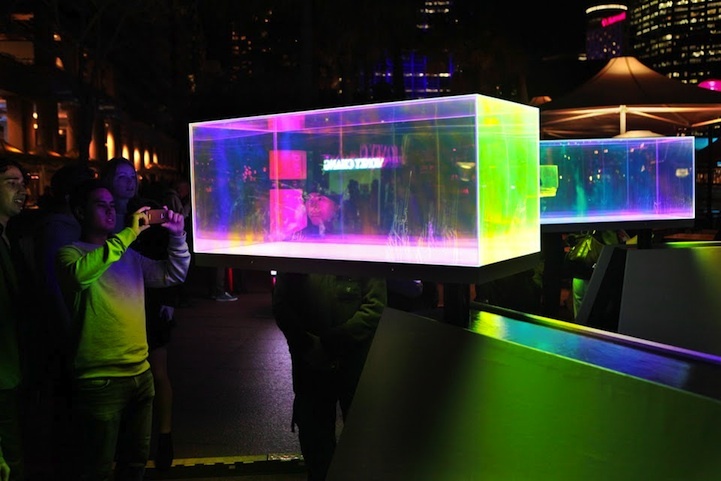 The Buchan Group’s ‘sub|version’ light installation is part of the Vivid Sydney festival that is lighting up the Sydney cityscape. 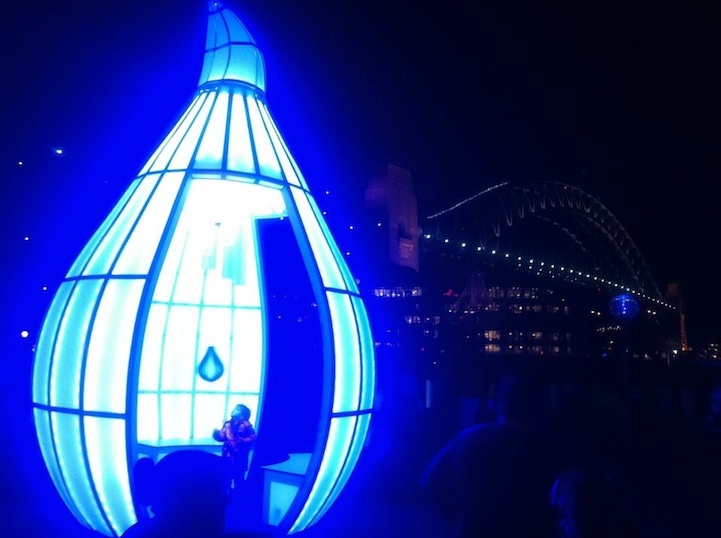 The installation piece is an innovative mapped water projection, and can be seen near the northern Overseas Passenger Terminal tower. 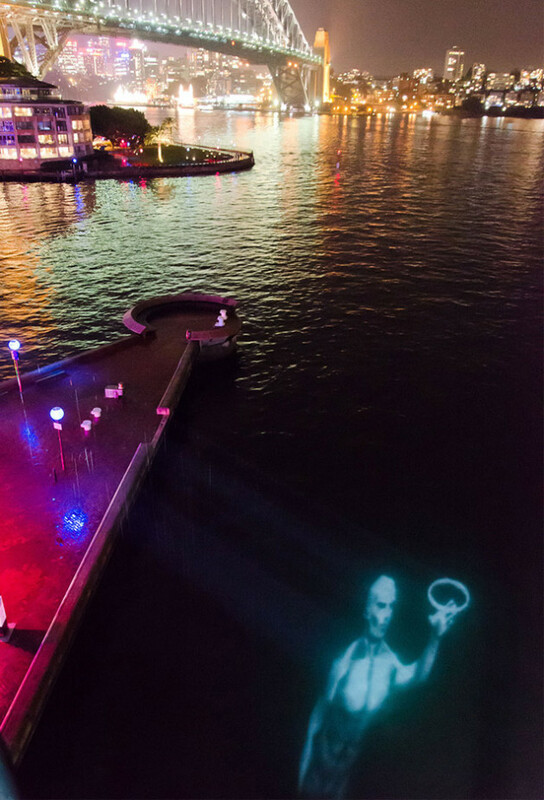 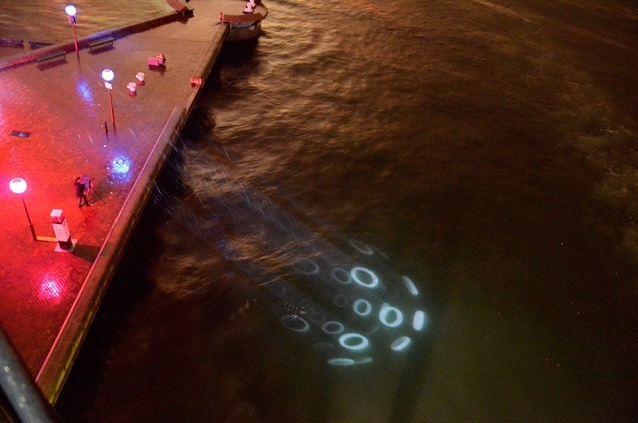 The installation extends the virtual performance into the waters of the Quay itself giving the impression of them being submerged hiding in the depths. 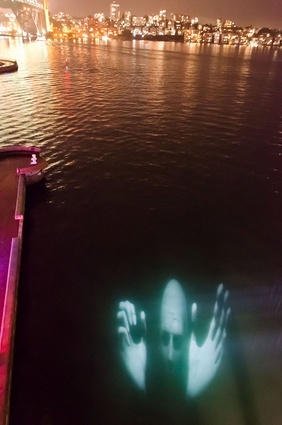 Resembling a giant man, the creation needs to not only project onto the extremely challenging medium of water, but also to incorporate perspective and tonal corrections to simulate a three dimensional form within the water. 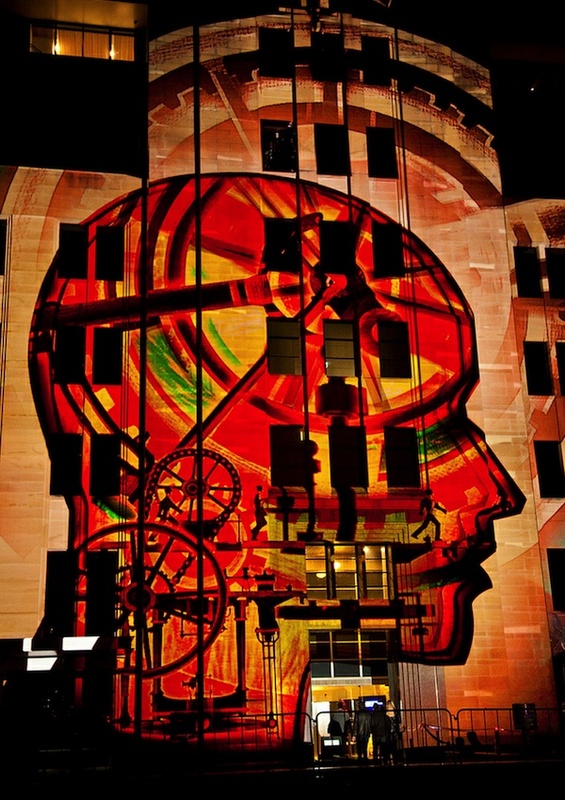 The Buchan Group ( Gary Edmonds, Bruce Hart, Patrick Shirley and Anthony Rawson ) was responsible for the concept design, mapping and all content production, and worked in association with Haycom AV who were responsible for projection, media server and installation. 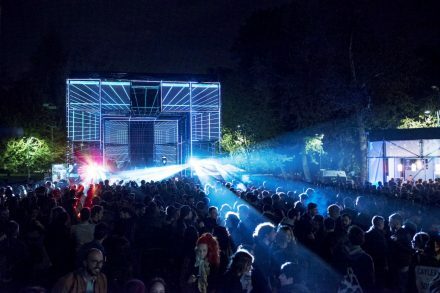 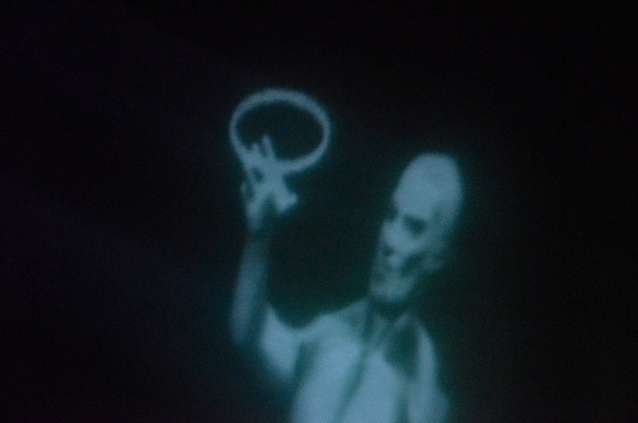 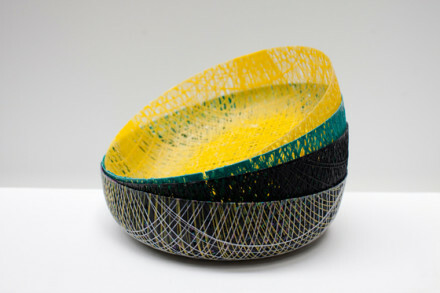 The project was selected from an international field of applicants to participate in the festival, which is a celebration of creative industries. 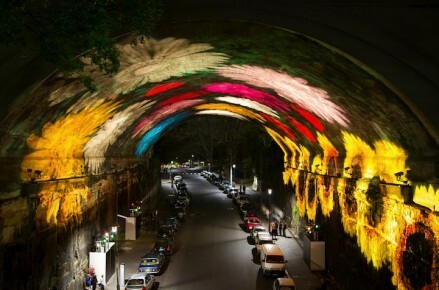 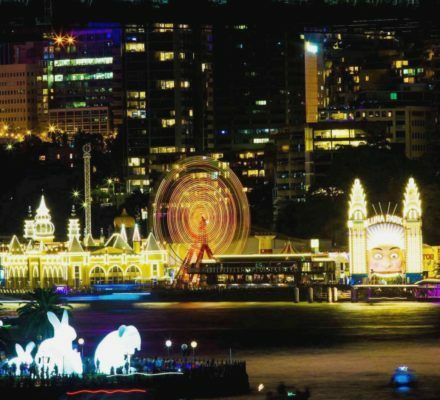 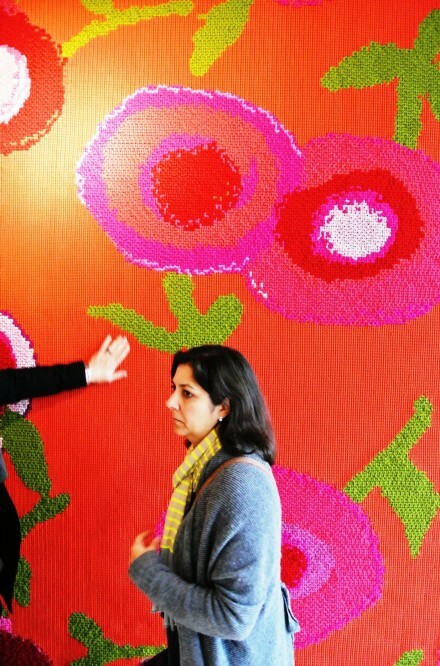 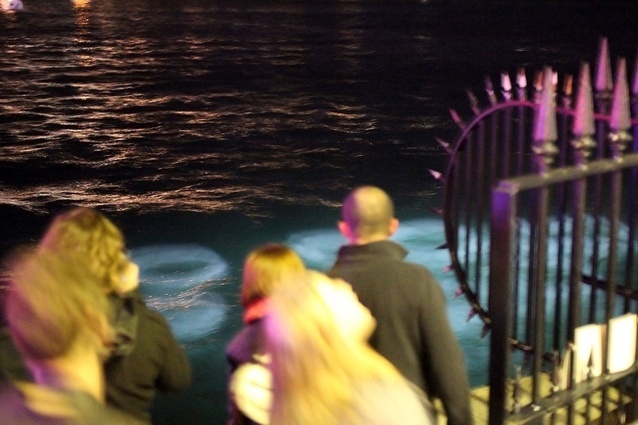 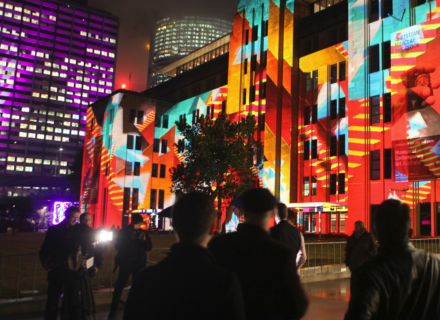 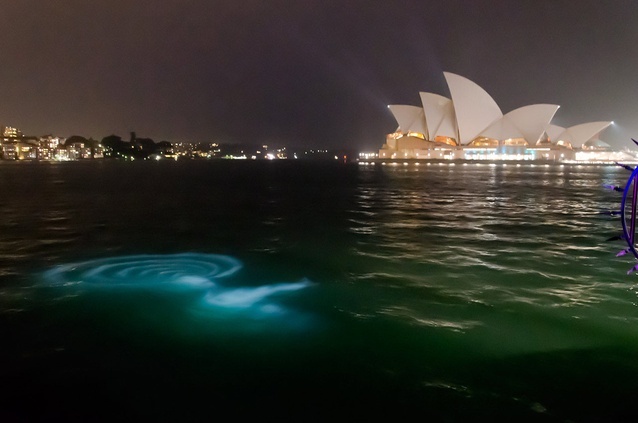 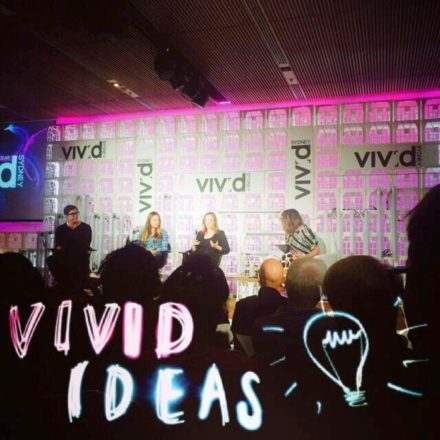 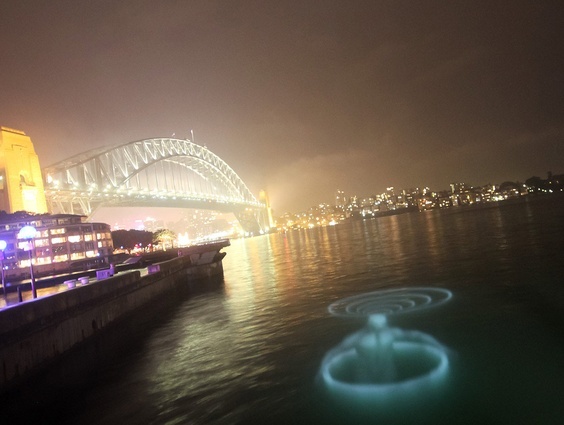 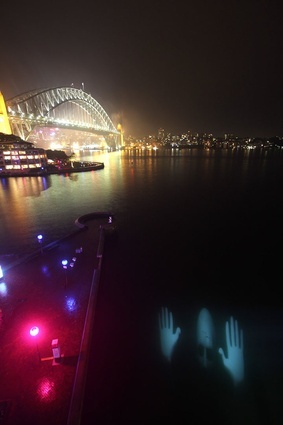 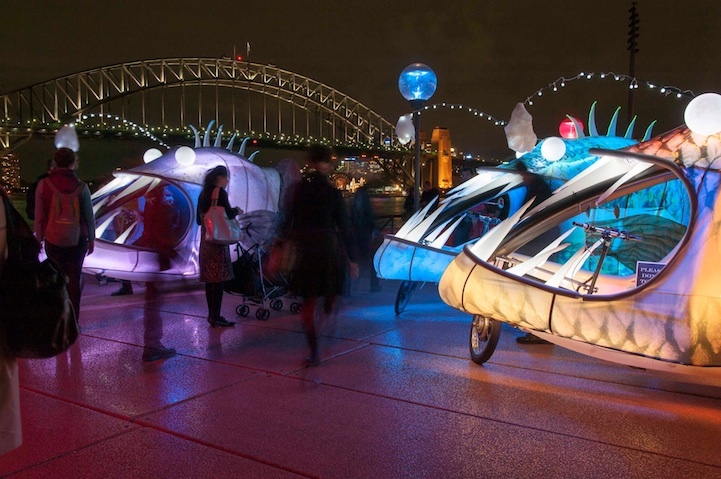 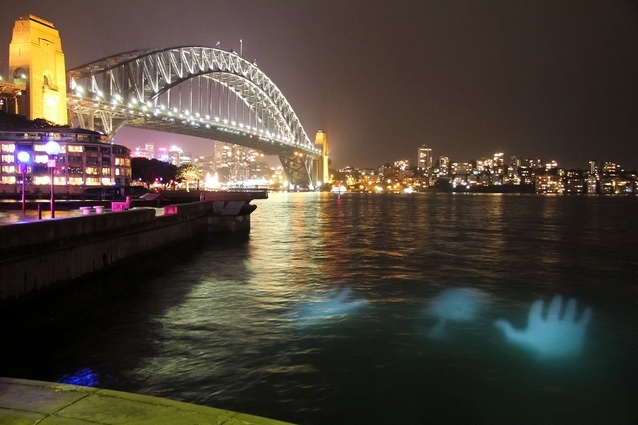 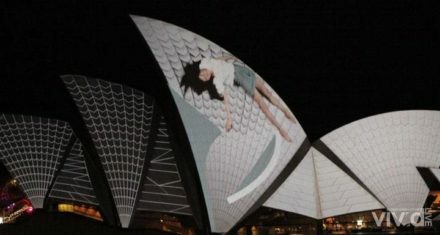 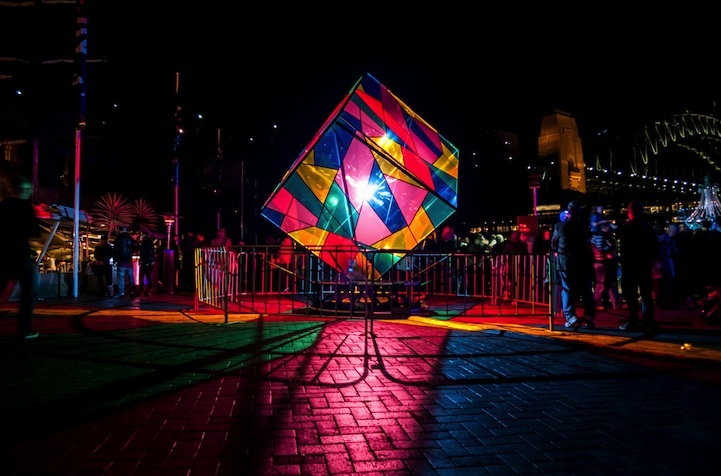 Vivid Sydney runs from 25 May to 11 June 2012.